Oakley is blooming in GOLD! 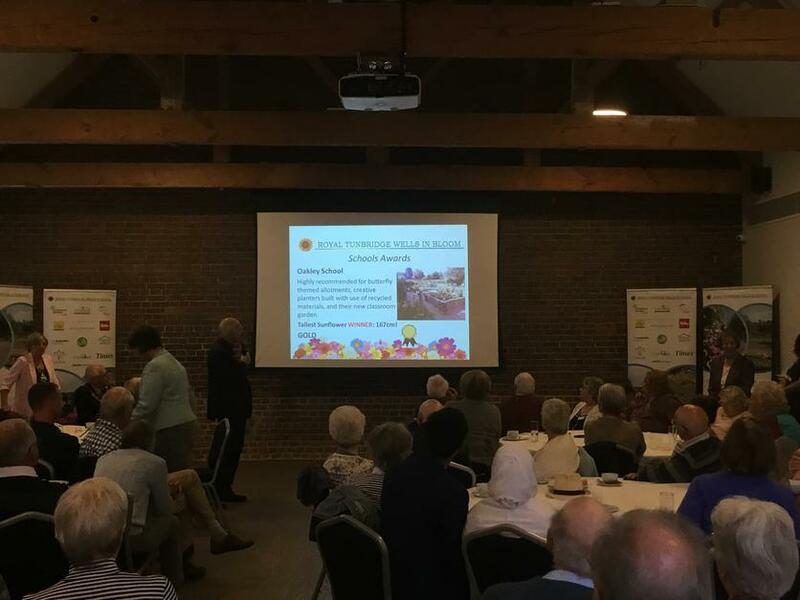 At the end of last summer our school garden on the Tunbridge Wells site was judged as part of the 2018 Tunbridge Wells in Bloom competition. 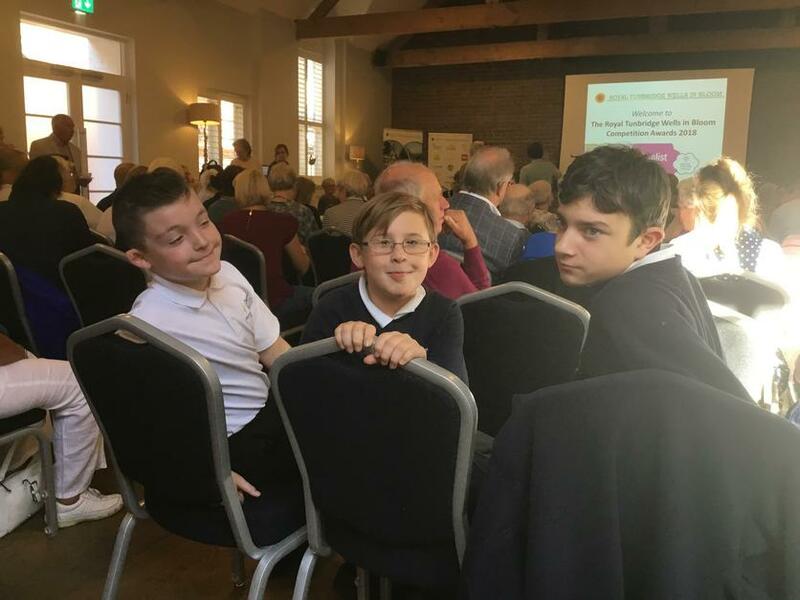 On Wednesday, 26th September, two members of staff and 3 pupils were lucky enough to go to the awards ceremony at One Warwick Park, Royal Tunbridge Wells. 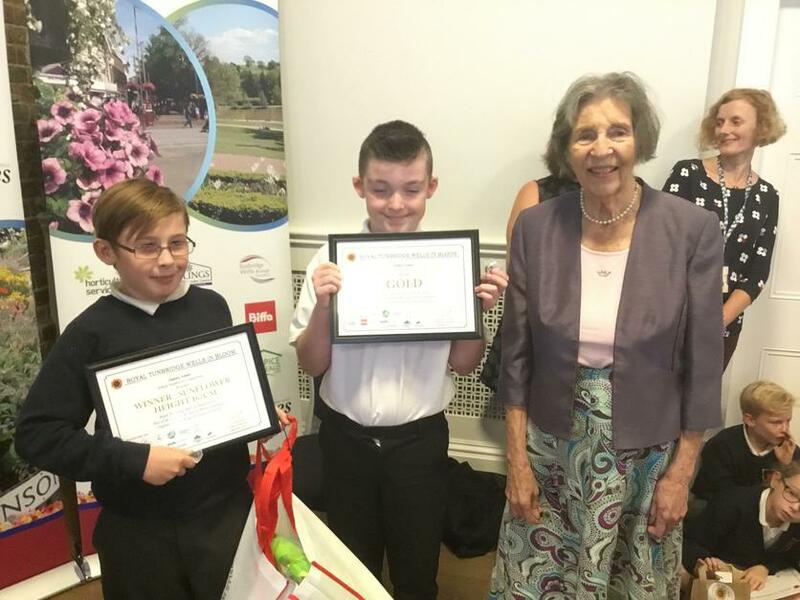 The pupils who were chosen had put a lot of hard work into the garden during last year and did a great job showing the judges round in July. 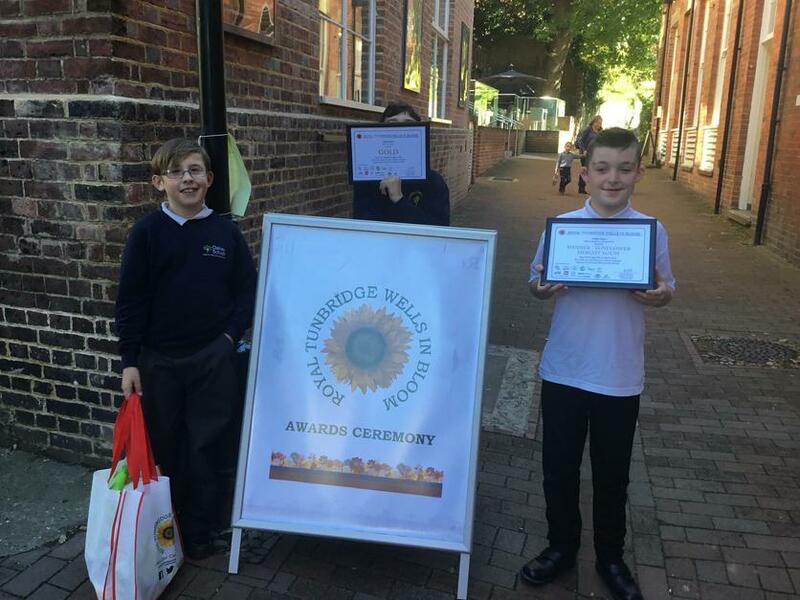 They were, therefore, particularly thrilled to receive the GOLD award in the Schools section and an additional award for the tallest sunflower, on behalf of the School. We will definitely be celebrating this success during the next celebration assembly!